Arsenal's final group stage game in the Champions League will be shown free-to-air via BT's Showcase channel on Freeview. The Gunners have qualified for the last 16 and are likely to finish second in their group, providing Paris St-Germain beat Ludogorets Razgrad. Coverage of the match from St Jakobs Park, which kicks off on Tuesday 6th December at 7:45pm will be available in standard definition on Freeview channel 59. Virgin Media viewers will be able to watch for free on channel 100 or 548. Build up to the game starts at 7pm. 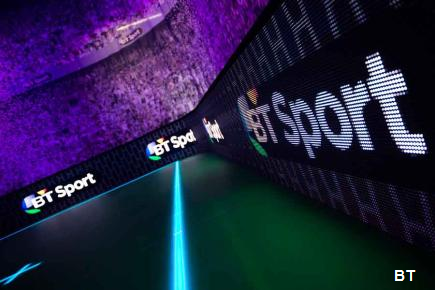 BT Sport subscribers will be able to watch the match on BT Sport 2 (Sky channel 414, Virgin 532/528, BT TV or Plusnet TV 409/431, TalkTalk TV channel 409). An HD option is available for viewers using Sky, Virgin, BT or Plusnet TV). The match will also be streamed online. This is a change to the channel published in some TV listings magazines. Manchester City v Celtic - the other main Champions League fixture of UK interest on Tuesday - will be shown at the same time to BT Sport subscribers on BT Sport 3 (Sky 417, Virgin 533/529, BT TV or Plusnet TV 410/432, TalkTalk TV channel 410). All Wednesday Champions League games remain behind the paywall, with fixtures on the 7th December 2016 on BT Sport 2 and 3: Tottenham v CSKA Moscow will be shown on BT Sport 2, while Porto v Leicester is on BT Sport 3. Coverage of both games starts at 7pm, with the kick-off at 7:45pm. On Thursday, BT Sport will show Feyenoord playing Fenerbahce in the Europa League for free on Freeview channel 59. Then on Saturday, viewers can enjoy free coverage of BT's afternoon results show Score from 2:30pm on the channel.